Easy, fast, secure and reliable transactions. 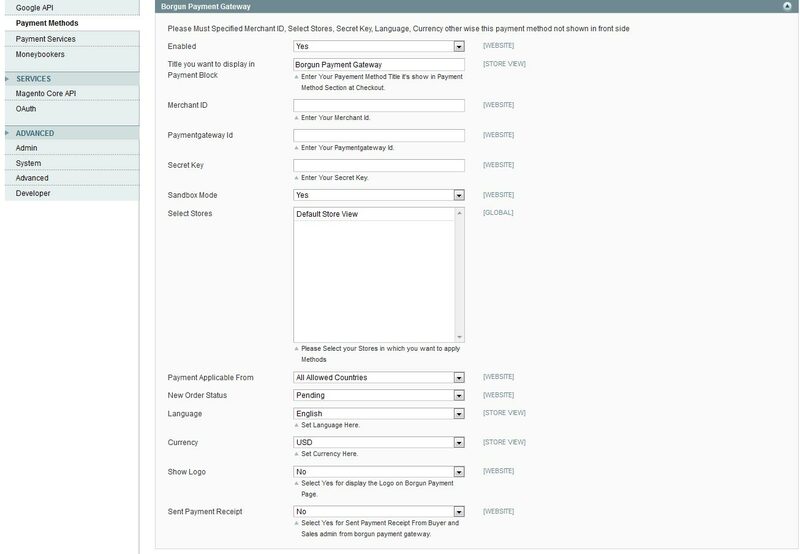 You have to put Merchant code in admin section to use borgun payment. This extension does not store Credit Card details. Enable/disable for all or specified countries. Supported multi stores and multi websites. 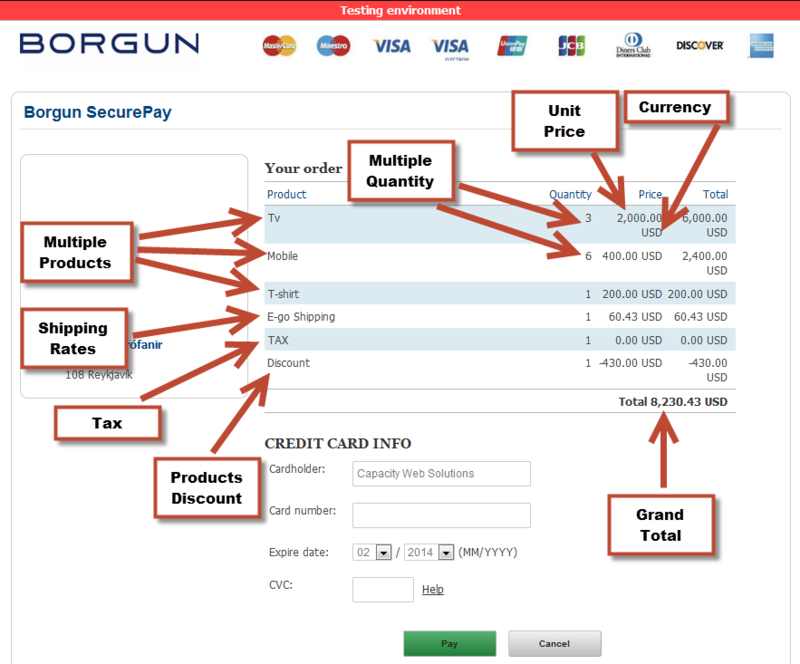 Why Use Borgun Payment Gateway? 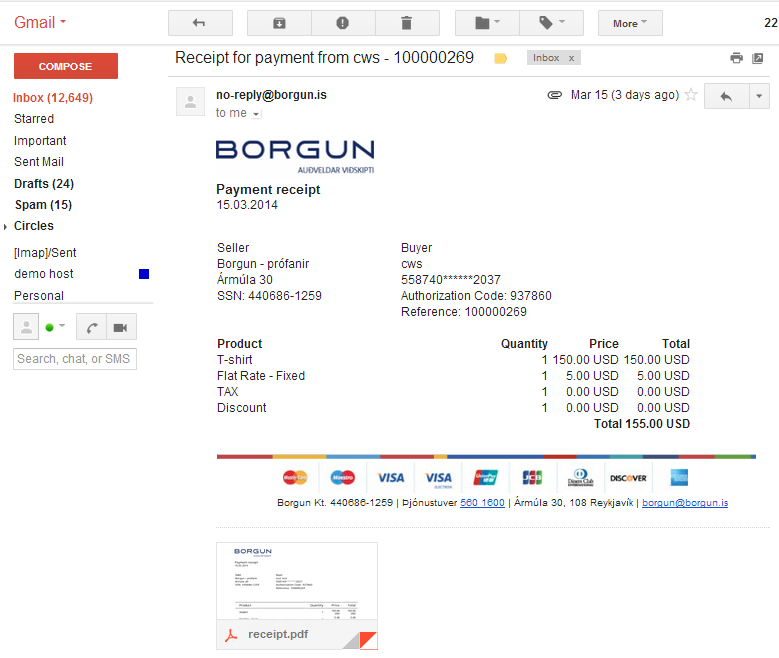 This is a Borgun payment gateway for magento, which allows magento to accept credit and debit card payments via Borgun Iceland Secure Payment Gateway ( http://Borgun.is ). 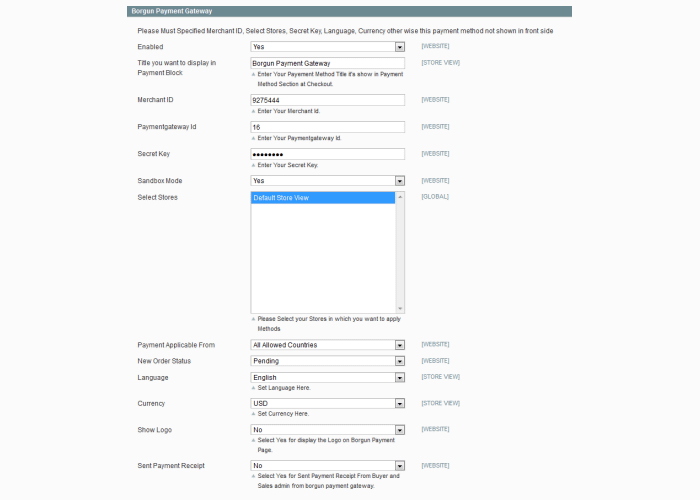 Our extension is easy to setup and give many options for settings from admin. 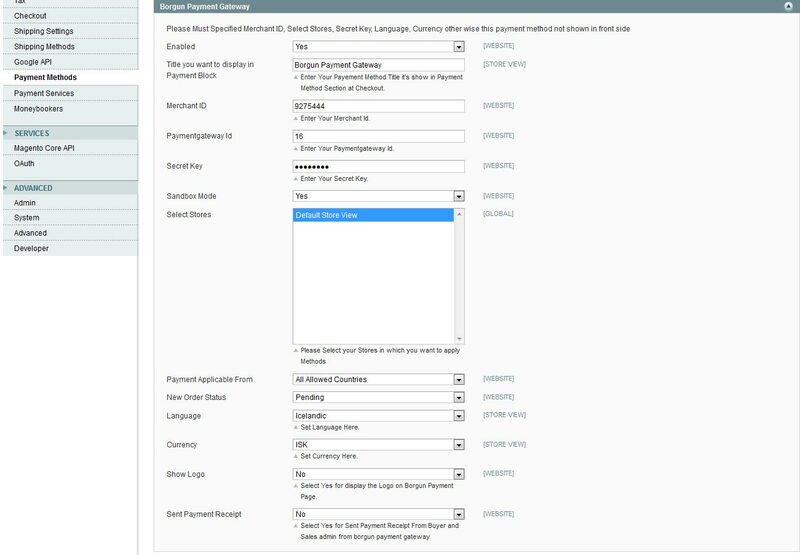 USD, ISK, GBP, EUR, DKK, NOK, SEK, CHF, CAD and JPY currency code supported by this extension. 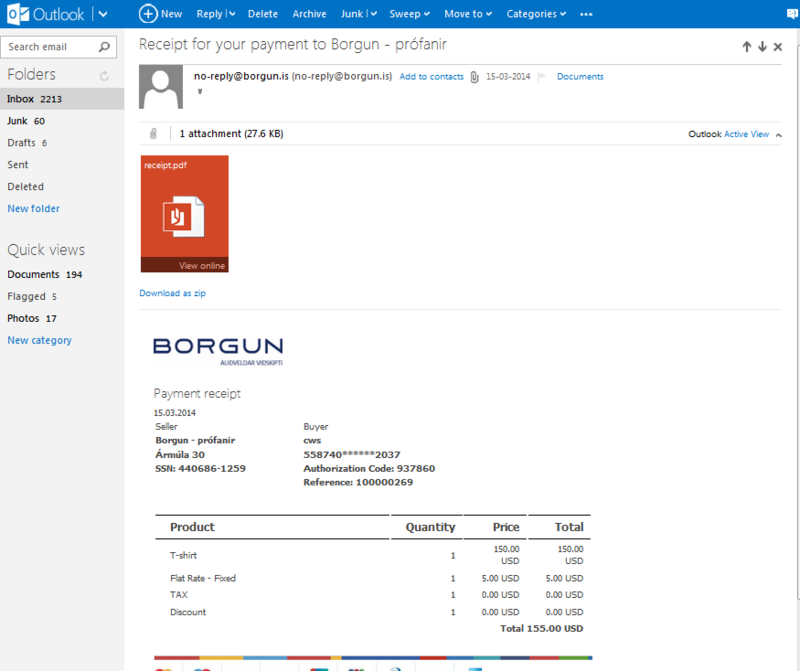 If you are selling products in Iceland, Borgun payment gateway extension is a must. Use it for easy electronic payment management. I have been using this module for quite sometime. Great functionality! MageBees! You have done a great job by introducing this extension. It is highly recommended for Magento websites whose customers prefer Borgun Payment Gateway. 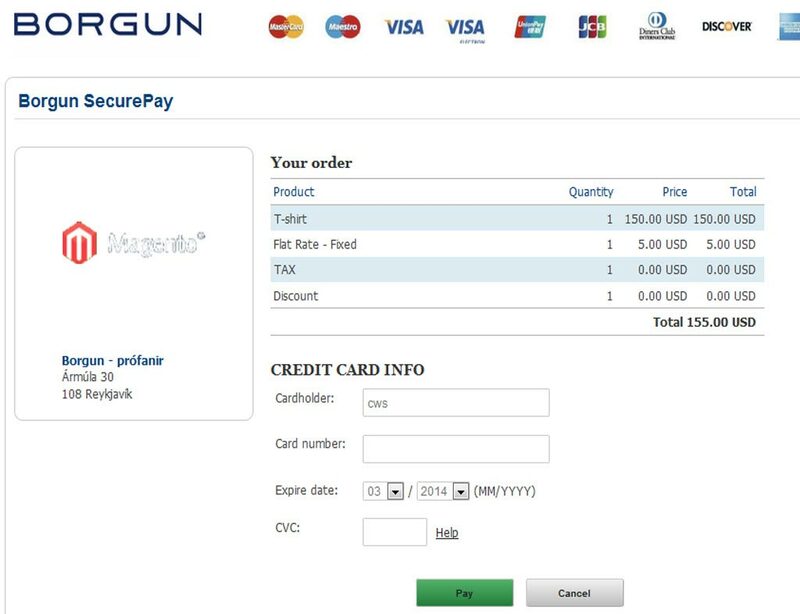 In my country ( Iceland ), the Borgun payment gateway is very common and used by most customers. However, there are very few extensions built to support the gateway. I was worried that I might have to get one customized. Lucky me! I stumbled upon this website. The extension is very well-built. It offers extremely reliable and secure functionalities for my website. 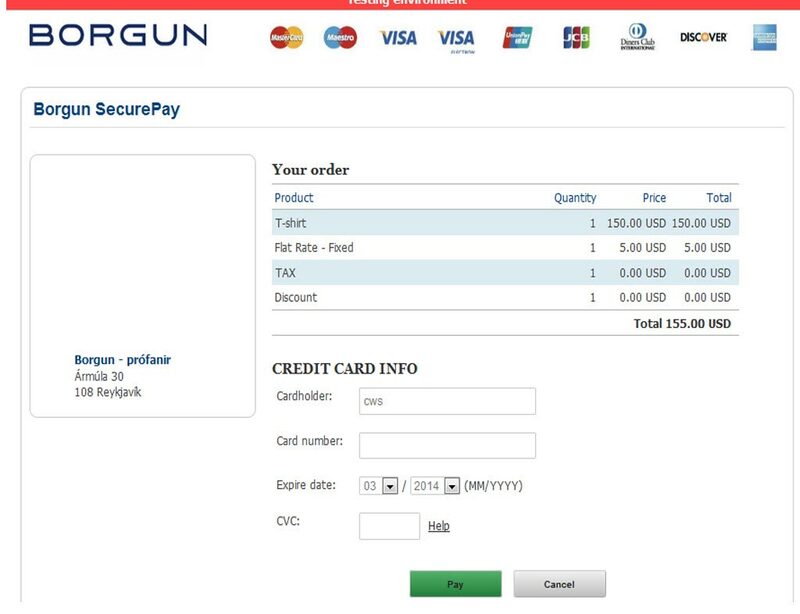 Perfect for Magento stores that use Borgun payment gateway. I have used this extension for about 6 months. It has worked perfectly without any problems whatsoever. I highly recommend it and the excellent service provided by them. 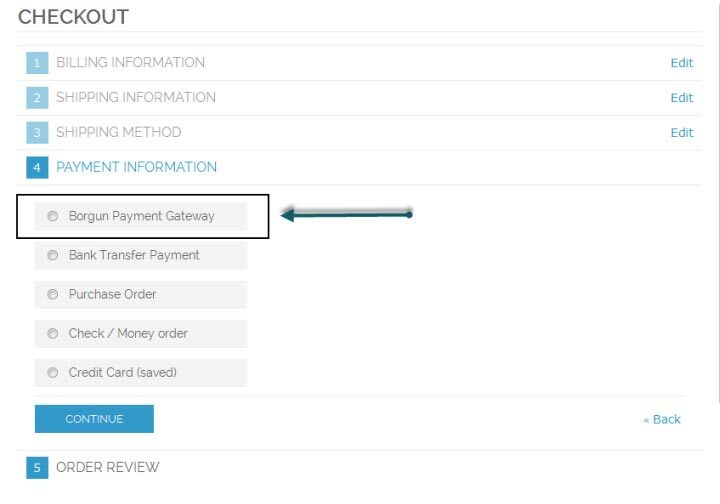 Q-1 :How to manage Borgun Payment Gateway Extension.? After installing Borgun Payment Gateway Extension. Please Logout from admin account and Relogin and Refresh Cache. Go to Your Site Backend. Go to System -> Configuration -> Payment Methods -> Borgun Payment Method. You will get Following Screen. Save Configuration. You will get Following Screen. 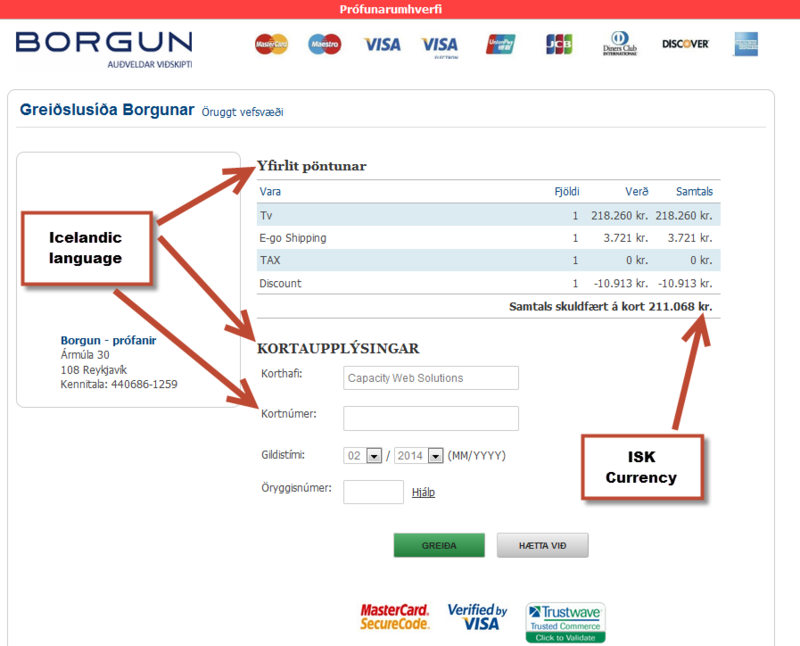 Note: - Without Currency Rates Set the Payment method will not be able to count the price at Borgun Payment Page. So we must be set. (Ex: - Your Store Base Currency – US Dollar and This Extension Set Currency ISK. So Currency Rates => 1.00 USD = 109.14 ISK). For More Details FAQ (Q -3) . 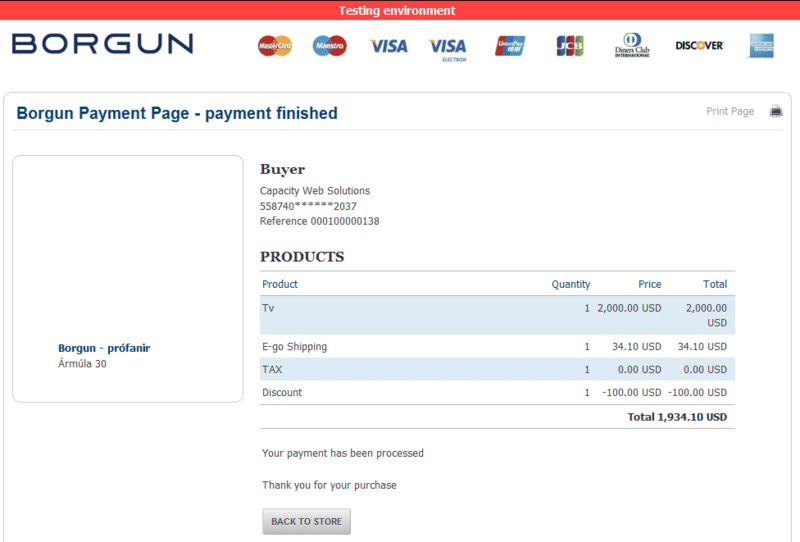 That’s it your extension is ready to use, in checkout page you can use it. You will get Following Screen. 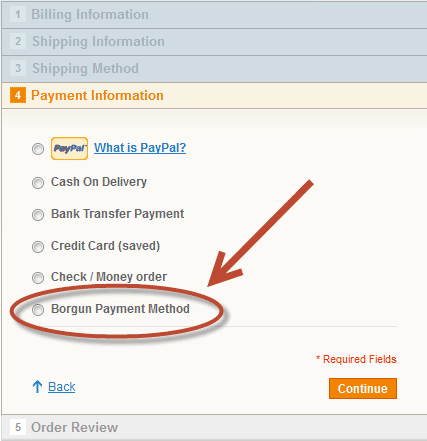 Q-2 :I have Installed Borgun Payment Gateway Extension. 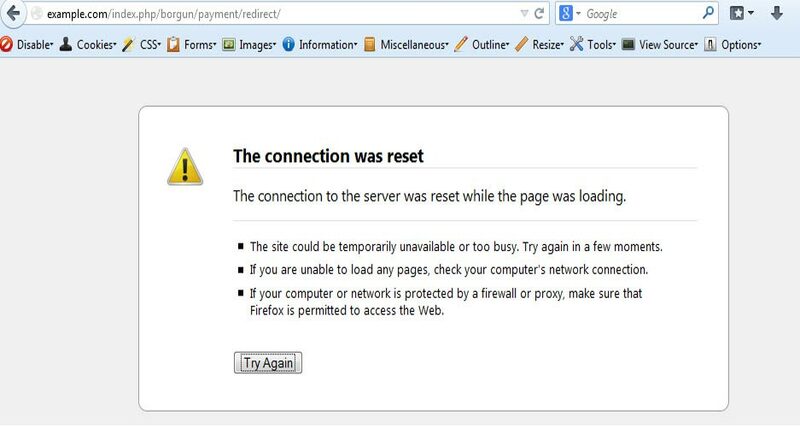 But when I click on Borgun Payment Method in the config page will get a 404. :(. 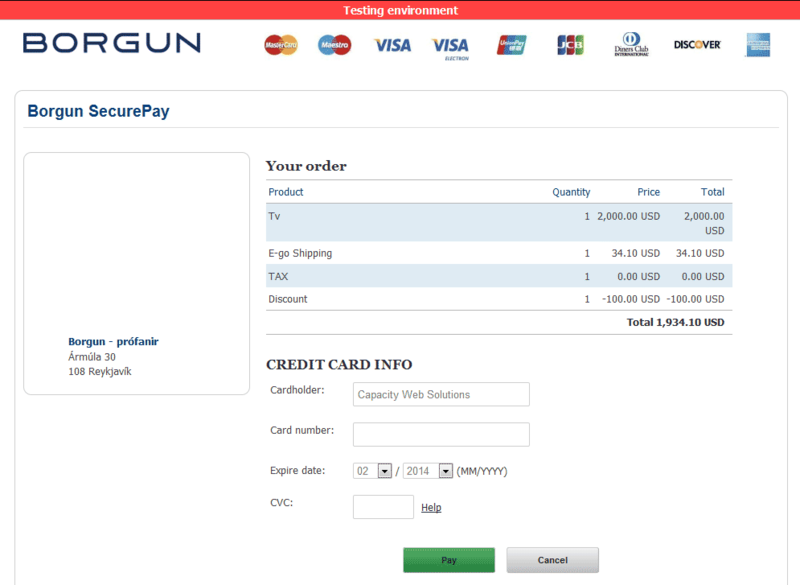 Ans : After installing Borgun Payment Gateway Extension. Please Logout from admin account and Re-login and Refresh Cache. 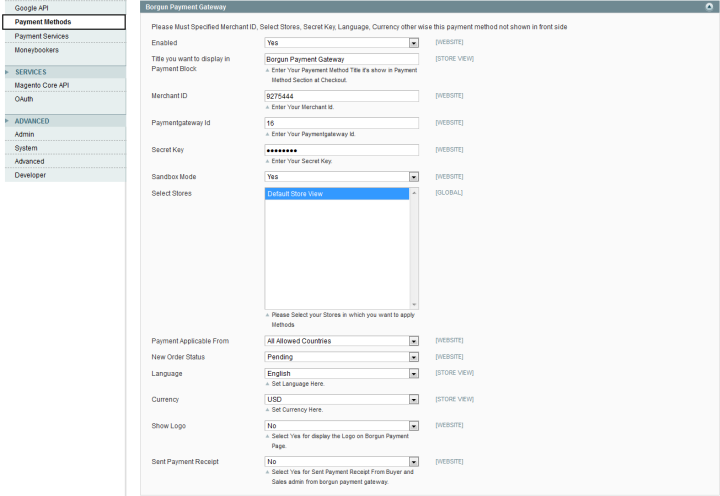 Q-3 :I have Installed Borgun Payment Gateway Extension. 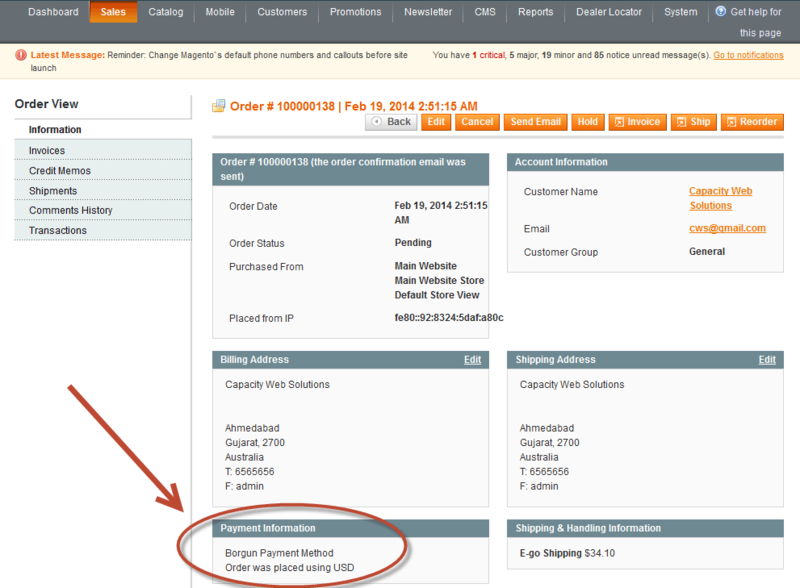 And I have Set All field (Screen Shot – 1.1) but when I click on Place Order in the Checkout page will get Screen 1.2. Go to admin -> System -> Manage Currency -> Rates. You will get following screen. Click on import Button. You will get following Screen. Click on Save Currency Rates. It is Resolved that issue. 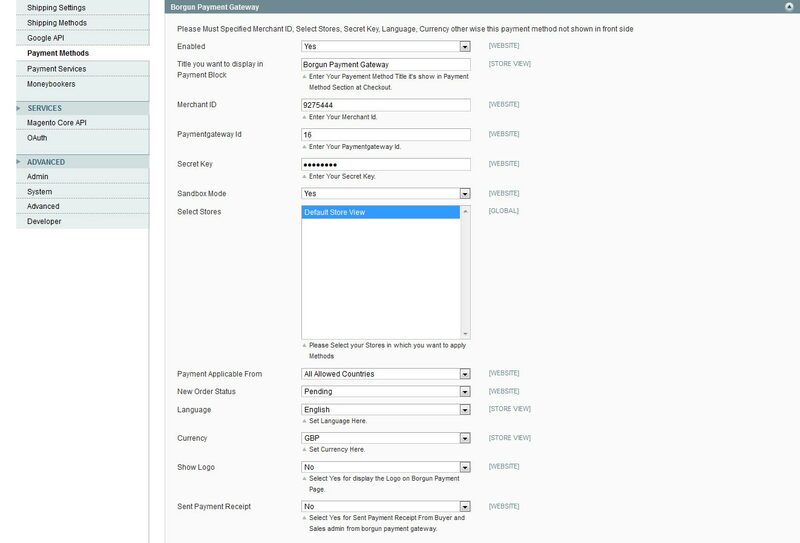 Q-4 :I set "Show logo" field selected yes and Save Config but Not Show Logo on Borgun Payment Page. I will Get Following Screen. Ans : Logo show Only Live Payment Method. So Please Select No in Sandbox Mode and Save Config. Then Click on Place order. You will get following screen.